This technology has been around for decades. According to an article by HowStuffWorks.com, RFID tags were originally used to track cattle and shipments of consumer products around the world. So how does cattle tracking and global logistics relate to your event planning business? The RFID technology used to track cows and shipping containers has evolved. Today, it can be used to enhance your event and your attendees’ experiences. RFID chips are now small enough to fit into event bracelets or badges. While the technology is simple, these bracelets and badges have the power to transform your event from start to finish. As you plan your events, one of your priorities is to provide a unique experience for your attendees. 1) Less Time Waiting in Lines – Almost 60% of live event attendees list long lines as their biggest frustration at events. Scannable bracelets and badges allow your attendees to move through check-in and security lines quickly. RFID technology can help you eliminate frustration for your attendees and create more opportunities to enjoy your event. 2) Cashless Payment – Your bracelets can serve as a cashless payment device. Attendees can link their accounts to their bracelets and use them to purchase drinks, food, and souvenirs during your event. Your attendees won’t need to worry about a wallet, purse, or carrying cash. 3) Social Integration – You and your attendees want to see your event pictures spread across social media. Photographers can scan your attendees’ bracelets and link event pictures to each person to help your attendees document their experiences and quickly share them on their social media accounts. Using RFID technology, you can offer a better arrival and onsite experience, and it’s hassle free for your attendees. RFID technology has the power to transform your event while also providing valuable benefits to the event planners who use it. 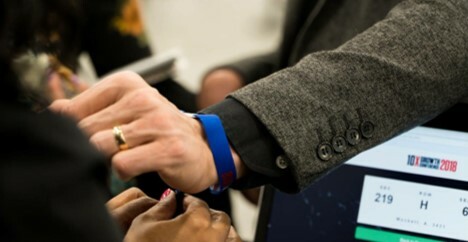 1) Fraud Prevention – RFID bracelets are linked to a single user with distinct profiles for each attendee. The unique profiles help you and venue management prevent fraud and illegal reproduction of event passes. 2) Controlled Access – Each RFID chip is fully loaded with each attendee’s event details, including various levels of event access. 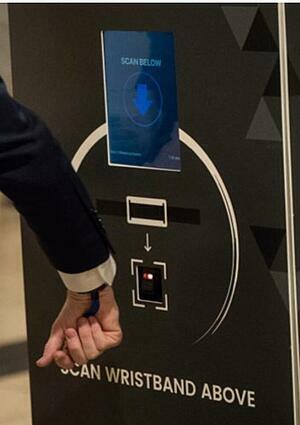 You can use RFID technology to control who can enter VIP functions or restricted areas. 3) Traffic Pattern Analysis – You can use RFID technology to track the movement patterns of your attendees. This level of detail can help you gather valuable insight on popular features, bottlenecks, security issues, and venue layouts. 4) Increase onsite spend – RFID solutions can reduce the average transaction time from 90 seconds to 15 seconds. Attendees simply associate a credit card with their user ID, making ticket upgrades and food and drink purchases easy. This level of convenience often increases onsite spend (reports say by up to 30%). Plus, there’s no longer a need for drink or food vouchers. 5) Fun and Novelty – Plain and simple, the bracelets are fun. Your attendees will love the access, convenience, personalization, and novelty they provide. The popularity of your event depends on the satisfaction of your attendees. Your chances of wowing your attendees increase when you use RFID technology to reduce wait times, increase convenience, and provide a better overall experience for your guests. Data for each user is updated in real time and locked by administrators to prevent abuse. While you can use a website to access the user data, mobile event apps provide a better user experience and quicker access to information. 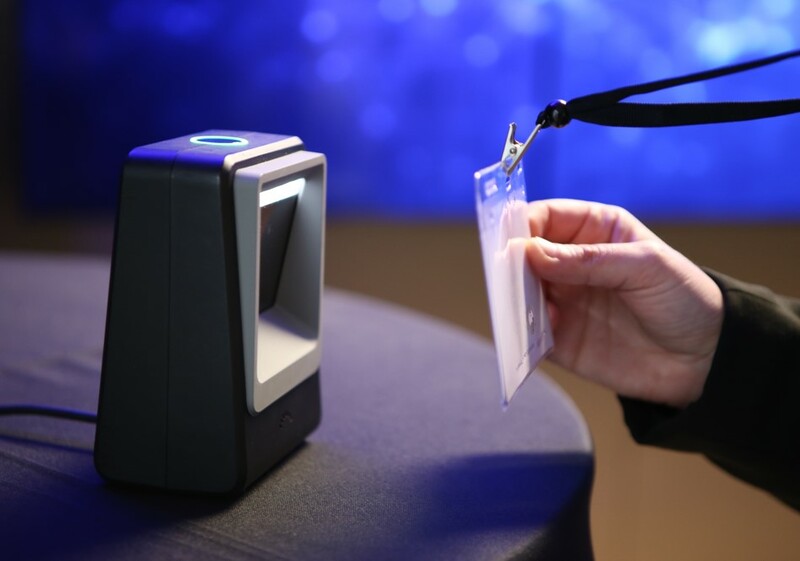 By incorporating RFID technology into your event, you can add security, customization, efficiency, and fun, while providing a better experience for your attendees. Premier mobile app providers like MeetingPlay can help you customize the perfect solution for your event and guide you through the entire setup process. Contact us today to learn more.